"Walking in the Way of Love" Program ~ 6-7:20 P.M.
Compline Night Prayer ~ 7:20-7:30 P.M.
Vestry Meeting, Sunday, April 28, 11 A.M.
Saturday, May 11, 11:30 A.M. - 2:30 P.M.
Thursday, May 30, 6 P.M. 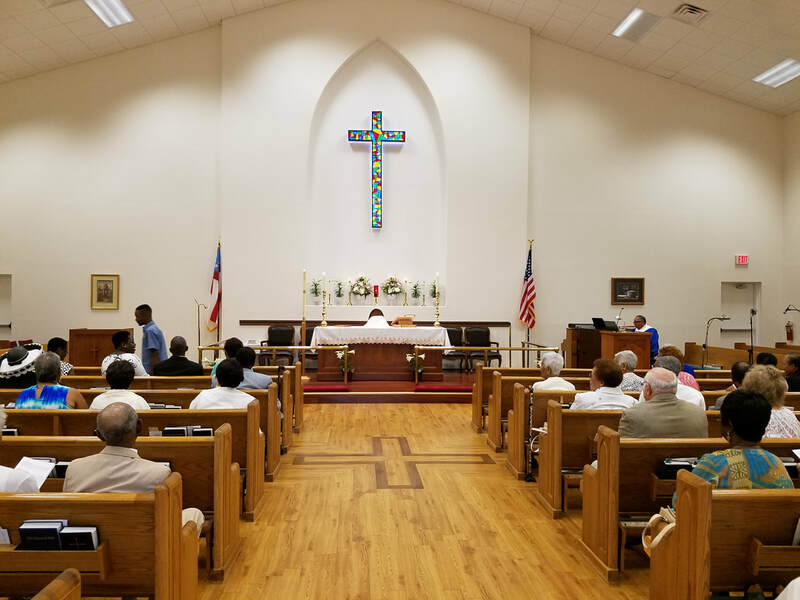 Welcome to the Episcopal/Anglican Church of the Blessed Redeemer. We are a congregation of the Episcopal Diocese of Central Florida working to spread Jesus' gospel of love, mercy, and forgiveness in the city of Palm Bay, Florida. We worship on Sundays at 9:00 a.m.
We worship on Sunday mornings at 9:00 a.m. Please check out our Contact page for directions to the church. We have ample parking and our building is wheelchair accessible. The Rev. Brian W. Turner serves as our Vicar (priest). You can contact Fr. Brian via the Contact page. Mr. Donald Hurlston serves as our Music Director. Church of the Blessed Redeemer is part of the Episcopal Diocese of Central Florida, which is part of The Episcopal Church in the United States, and more broadly part of the worldwide Anglican Communion. Our worship comes from the Book of Common Prayer.